In the aftermath of war, the political landscape and cultural nature of a place changes. What was previously accepted can become taboo and directly outlawed, especially if victory has been declared either by an invading party or outside force that seeks to reverse the way many policies are set and enforced. Those who have not been prominently involved in the war effort on either side may find their lives proceeding mostly as normal, with small modifications and gradual developments that enlighten them to a new reality that will shape their future. 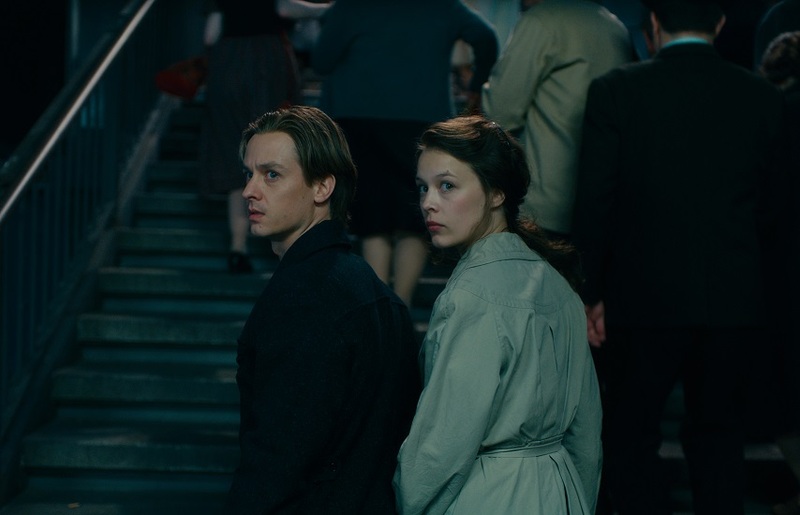 Kurt Barnert (Tom Schilling) comes of age in Germany following the end of World War II. 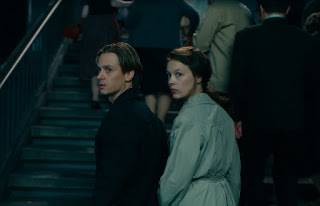 Childhood memories of his aunt Elisabeth (Saskia Rosendahl), who was found to be mentally ill and sent to be killed by a Nazi gynecologist, Professor Carl Seeband (Sebastian Koch), inspire him to stay true to his passion and pursue a dying art – painting – that is highly controlled in the new Communist East Germany. While studying, he meets a fashion student, Ellie (Paula Beer), who encourages him to pursue what he loves and to stand out in a society that does not advocate for individual expression. This marks the third film from German director Florian Henckel von Donnersmarck, who took home an Oscar in 2006 for the terrific drama “The Lives of Others.” His follow-up, “The Tourist,” was a slight English-language misfire, and a return to a divided post-war Germany proves effective for his storytelling style. It runs an excessive three hours and nine minutes, which allows for deep exploration of Kurt’s life and the development of his process, though the lack of concise editing results in tonal inconsistencies in a winding narrative without a clear sense of where it’s headed. This film is inspired by real-life German artist Gerhard Richter, whose accomplishments are impressive and well-documented. The background provided for his fictional surrogate is inarguably extensive, tracing back roots to formative images seen and experiences had as a child. Schilling serves as a dependable stoic protagonist, with Koch providing a chilling representation of supremacist ideology disguised as respected scholarship. Rosendahl is memorable in a brief but potent performance, and Beer creates an extremely compelling character in Ellie, determined to make her own mark on the world and not let her past define her. This can’t compare to von Donnersmarck’s first film and doesn’t warrant its duration, but its cinematic commentary on art and influence does contain moments of wonder and awe.